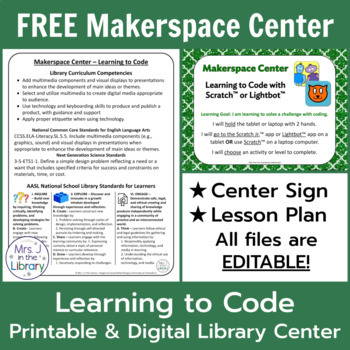 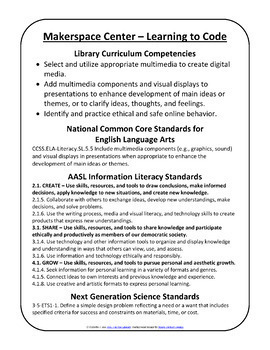 Students learn and practice coding at this makerspace center or library center. 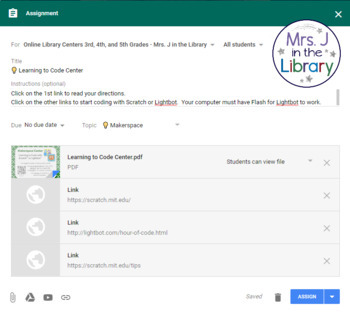 Coding is a great way for students to practice perseverance after failing and creativity. 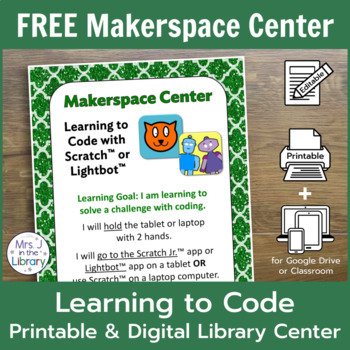 There are several coding languages that are accessible to elementary students, and this center focuses on the Scratch™ website, the Scratch Jr.™ app, and the Lighbot™ app, which are all free apps.